Discover the difference in the functions of business and account settings. 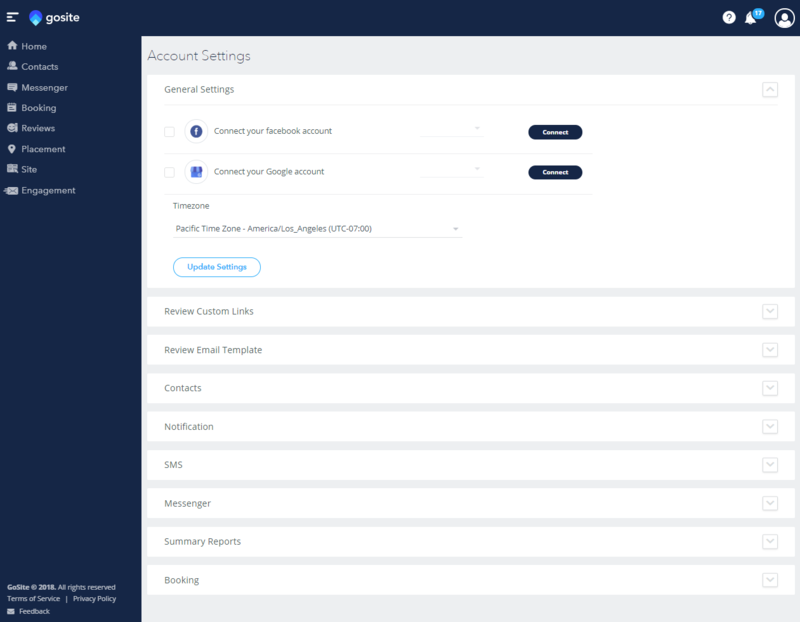 1. Business settings and account settings have some distinct differences that we will be going through in this article. To access either of these settings, click on the person icon in the top right of the dashboard. A drop-down menu will appear that gives you the option to navigate to either your business or your account settings. 1. We will start out with business settings. 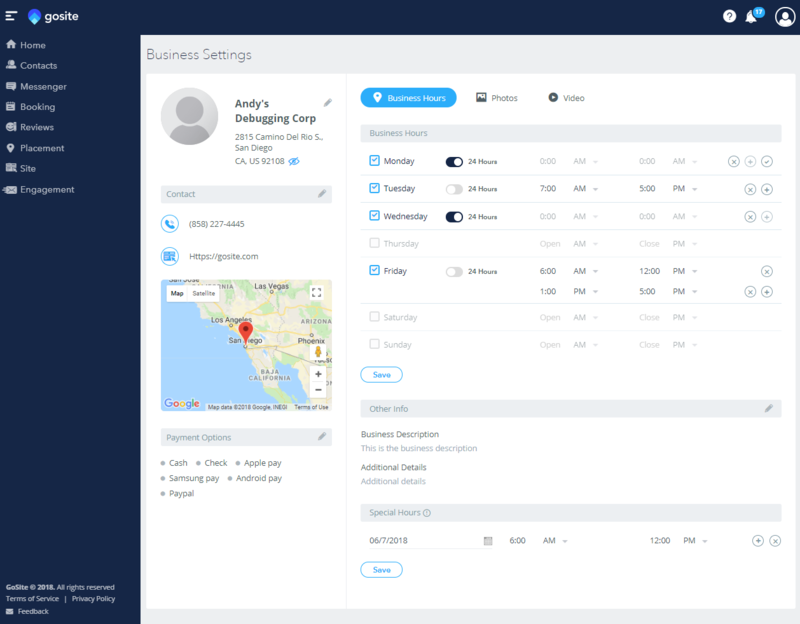 When you click on the “Business Settings” button, this is the screen that will appear. 2. The settings here manage how your business information appear online. 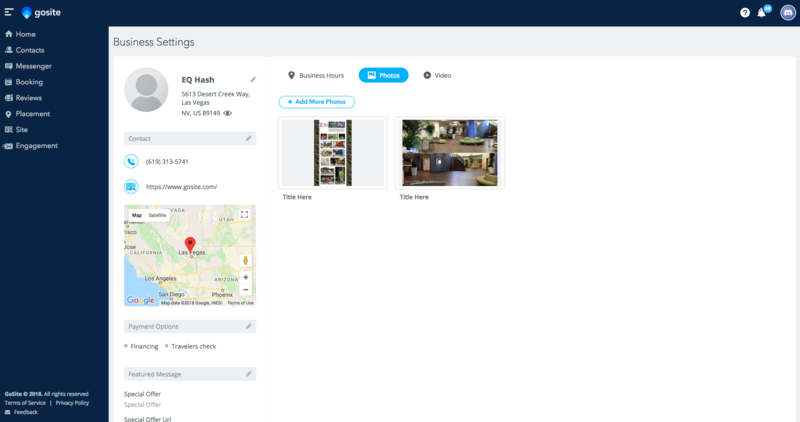 From here you can edit business information such as your address, hours of operation, contact information, accepted payment options, photos, videos, and business description. 3. You can also add “Special Hours” from this page. Adding special hours lets customers know when you have irregular hours on certain days. If you'd like to see a video walk through of how update your business settings, click below! 2. Account settings differ from business settings because these control how the software functions for you. For instance, you can set the hours during which clients can create a booking, edit the message sent when you request a review, choose the platform where customers are sent to leave a review, and more.